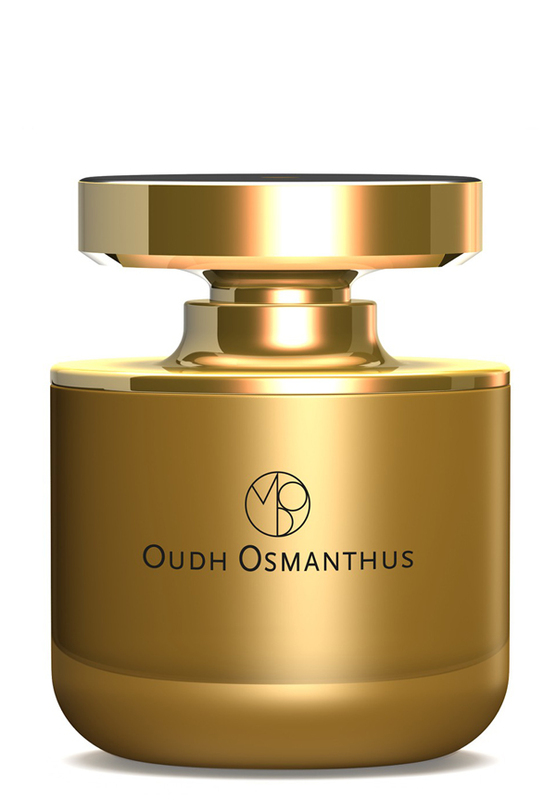 There are 19 reviews of Les Nombres d'Or : Oudh Osmanthus / Oud. A previously glorious soft white flowers & oud composition that smelled legit, maintained a gender balance (by the leathery beauty of osmanthus), and boasted a tremendous projection and staying power. It was rich, velvety, and gorgeous and wrapped you in wafts of luxury and warmth. Alas... either reformulation (for a while now... since the bottles went from cubes to ovals) or, more simply, a heavy dilution of the quantity fragrance oil in the bottles have made this former Md'O stand-out a mere echo of its former radiance. And it's not just the staying power; the scent does feel cooler in temperature and less enveloping (if less potentially cloying?) than its original release. So do I like the scent less? Not necessarily. But every time I reach for a tester in hope that I will be able to replace the almost-exhausted original cube that I so value, I grimace and tell myself: "this is nowhere NEAR worth the hefty price tag." Damnit. It was one of my favorite floral ouds ever. RIP. There are different type of oud from different countries that they do have completely different smells. I don't know what kind of oud is this, but it's the softest and the most wearable oud that I've tested by far. For you guys out there that you don't have any experience with out and you're about to walk into the world of oud based fragrances this is a great start! something inoffensive and very pleasant and without rose and saffron! NICE! The opening of this fragrance is very complex. at the beginning I can smell a resinous and kind of an oily smell plus some oud, some fresh notes, some green notes, noticeable amount of spice, some floral notes and creamy amber in the background. The freshness of the scent by citruses is very mellow and it will disappears after a few minutes. The oud note here is very soft and slightly bitter. just like a normal woody scent something like sandalwood for example but a little bit darker plus some oily quality. The floral note is very smooth and charming with slightly powdery feeling but not powdery something like iris. not at all. There are some green notes and some sweetness beside these notes too that they help smoothing the overall feeling of the scent. The quality of the notes is superb and these notes meshed together in a very lovely and and pleasant way. In the mid there is no change. almost the same smell only a little bit sweeter. In the base I'm getting more cedar instead of oud. the smell is pretty the same as mid but now there is a sharp and kind of peppery smell of wood and I believe it's cedar. the sweetness (creamy type) and floral notes amp up in this part but they are still very mellow. All and all it's a very nice and pleasing scent but paying almost $400 for this .... I don't know. I wouldn't do that! it just smells like a high quality ordinary fragrance. it doesn't smell cheap. no, not at all but at the same time it's not something unique, different and daring that shock you from the first sniff or even later on. Projection is above average at the start and average in the mid and base and longevity is around 5-6 hours on my skin. Heavy and spicy but just the way I like it, dry and warm to a point you'll feel dry even in the strongest rain showers. This is not your regular oud, more spices here and oud simply serves as a complement to the rest. It takes certain guts to wear this one. It is not some "regular man/woman from the streets" fragrance. Either one is aristocracy or quite well eccentric, or maybe even both - and then - and only then does this fragrance come to its fullest potential. It is so strong and potent, yet not invasive but in a way decent, however also naughty at the same time. Rich and complex as it is, if you're a casual wearer, you'll never need a full bottle even if you come to adore it. A hefty price tag for an extremely mediocre scent. There is, I agree, something a bit 'off' about it, and it lacks structure. I just don't get the hype about Mona di Orio - hugely overpriced and overrated. Smooth, rich, dark and deep. Complex, dreamy, mysterious, and exotic. Hauntingly beautiful, to be worn for those occasions when you want to stand out in an elegantly sumptuous manner. Now I'm ready to throw out my synthetic oud frags and take out a loan to buy a bottle of this. Once worn, never forgotten. Sillage is excellent, longevity phenomenal, over 18 hours. A bottle would last a very long time. Totally unisex. Cons: May be too intense for those who dislike Arabian style fragrances"
There are no member images of Les Nombres d'Or : Oudh Osmanthus / Oud yet. Why not be the first?